What do little chicks and cotton candy have in common? They’re soft, fluffy, and no one can resist them! Lil Chicks Cotton Candy is the perfect combination of sweet treat and sigh-inducing cuteness. 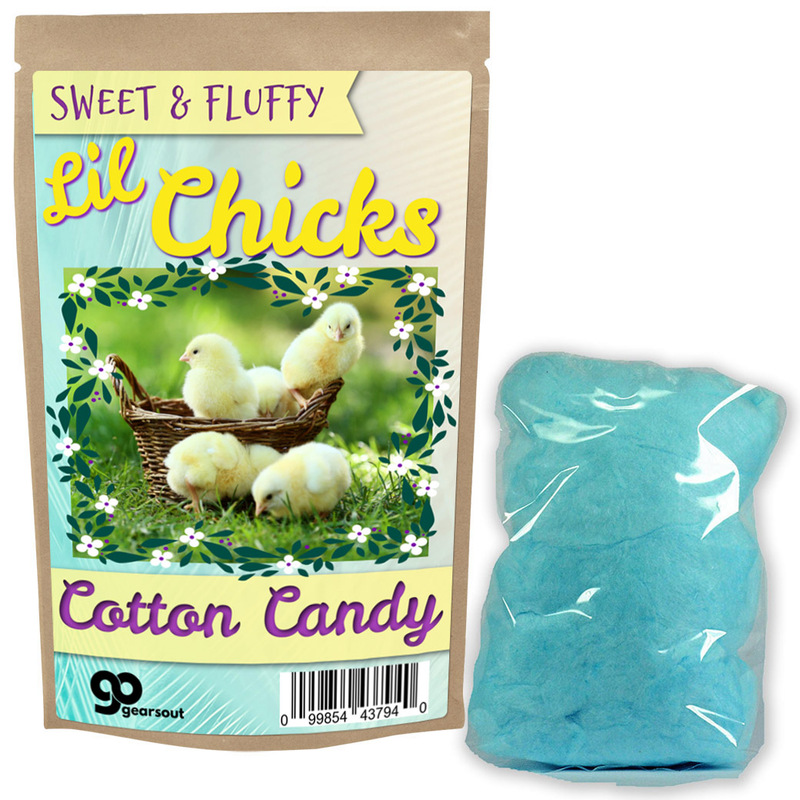 Lil Chicks Cotton Candy is a sweet snack for chicken lovers of all ages. 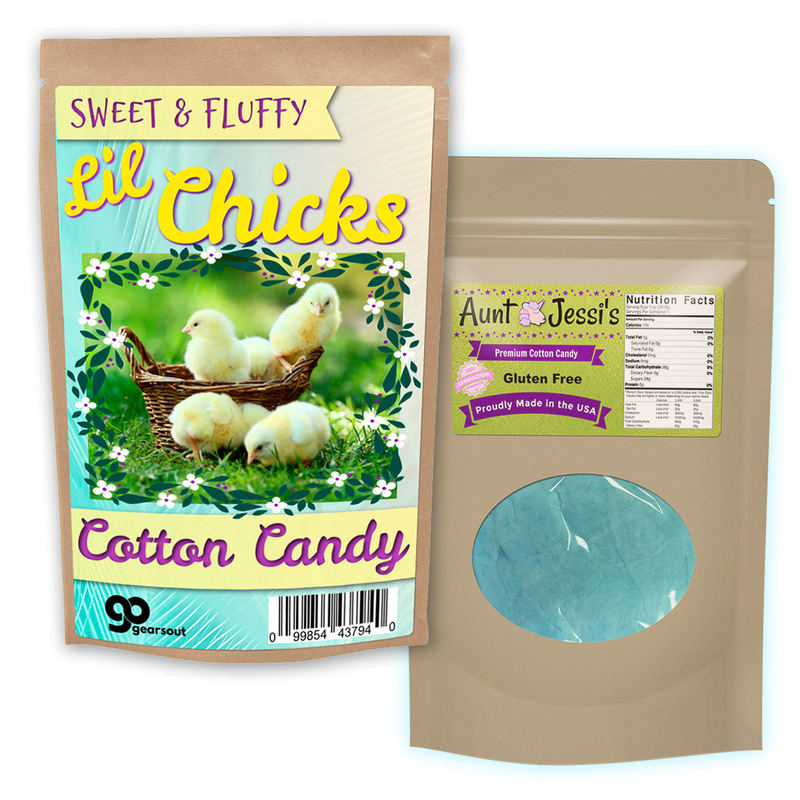 Give them the gift of their own basket of sweet little chicken babies and a small puff of fluffy, blue cotton candy. 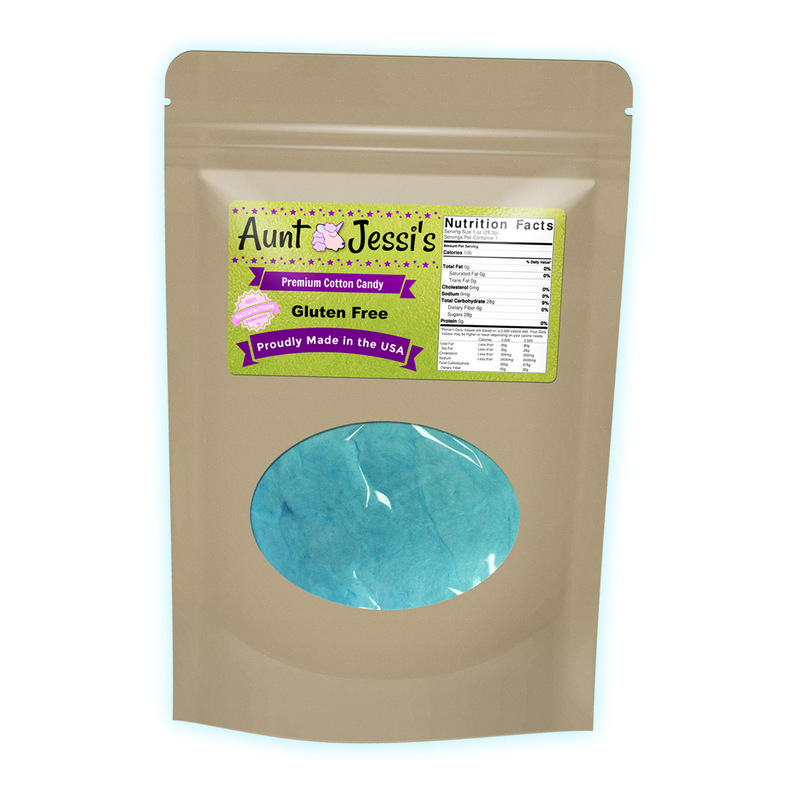 Our sugary, gluten-free lil chick candy is a sweet reminder that you care enough to give them the very cutest. Lil Chick Cotton Candy is an adorable novelty candy gift for family and friends who love warm and fuzzy gifts. This playful gag gift is perfect for the farm memorabilia-collecting candy lover on your gift list, no matter what you’re celebrating. Add a bag to Easter baskets, care packages, and birthday gift baskets or give it as sweet surprise just because. At Christmas time, slip some in as a funny stocking stuffer or wrap it up for a Secret Santa gift.